While live numbers are still necessary to support ad revenue, network TV and cable channels have seen a large growth in DVR viewership over the last several years. Shows that do well during their live airing often do way, way better when the final Live + 7 day numbers come in. In addition, shows that only do okay when they first hit the airwaves can sometimes see big gains in the days that follow via other platforms, like DVR and On Demand. Recently, Nielsen released the numbers for network TV shows airing at the end of October (the week of Oct. 26), showing which shows saw the most gains. You can check out the 14 shows that are crushing in Live+7 numbers, below. These numbers are pretty fun to look at, as they show how some dramas and comedies do really well at increasing their audience through DVR gains. ABC's Quantico, for instance, only did a 1.2 rating when it initially aired the week of October 26. However, an additional 1.6 rating was calculated 7 days after the episode initially aired. According to Deadline, the final number shows a 133% increase in viewership during the week the episode aired, which means a lot of people are watching the show at their leisure following its Sunday night premiere. As expected, big shows like CBS' The Big Bang Theory and ABC's Scandal also do a large DVR business, although those gains account for a smaller percent then the live audience (Big Bang only saw a 43% audience gain while Scandal saw a 63% gain). I was especially surprised to see a few under-the-radar shows make this top 14 list. 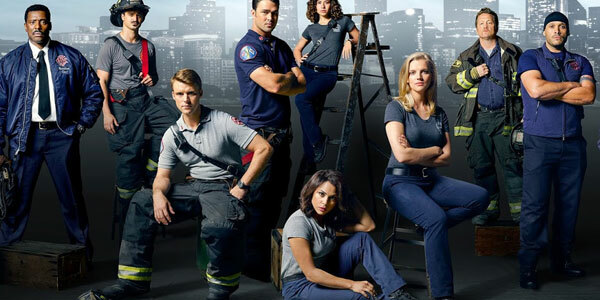 We know NBC is behind Chicago Fire and has already renewed it for next season, but I didn’t know that show sees such big increases in the days after an episode initially airs. Likewise do shows like ABC's Once Upon A Time and Fox's Gotham, which have seen their live ratings drop over time. It’s good to see people are still watching, even if they aren’t rushing to do so on the nights the shows air. At the end of the day, when it comes down to it, networks stick with the shows that bring in the most ad revenue. Live + 7 day ratings don’t really help with the ad revenue, but they do give the networks an idea of when a show has a big fanbase and when it is more of a niche program. It’s good to see some newbie shows on this list, but only time will tell if those will be able to avoid the cancellation axe. You can check out how this fall’s shows are faring with our network rundown of cancellations and renewals, here.